Introducing the new “fighting” Lost Cowboy! 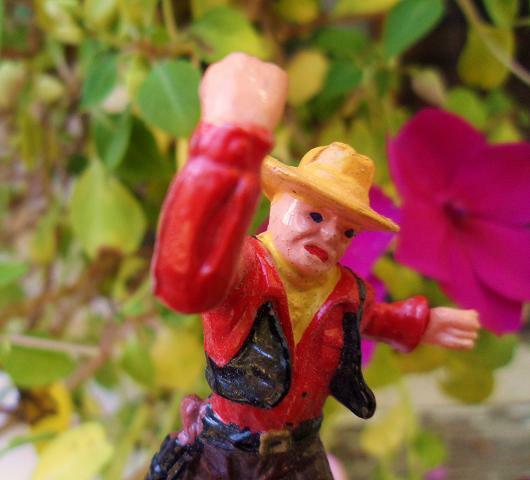 I love this little guy – a gift from my friend Lynda in honor of Lost Cowboy. …he comes ready for a fight. 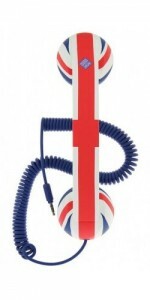 Once again I have found an item that crosses more than one of my interests – the Brit Pop phone handset from Native Union is a cool accessory for mobile phones, a throwback to an earlier times AND has a British motif. First and foremost, I love the whole idea of an old school phone handset. As much as I love technology, modern phones – cell and otherwise – make huge compromises when it comes to size over good audio quality. The Brit Pop phone handset – and many of the products available from Native Union – allows you to attach a vintage style handset to your mobile phone to have a better heard conversation – while removing the potentially harmful rays from holding a cell phone up to your head. I also love the Cure BT iDock, “the sleek Bluetooth handset and base with iPhone dock” also available from Native Union. See all the great products for you mobile phone from Native Union here. 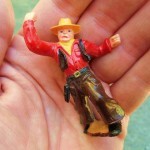 Lost Cowboy is powered by	WordPress 5.0.4 and delivered to you in 0.752 seconds using 42 queries.